Advocate Brokerage Adds Client Service Specialist to Create Concierge Services for Clients - Scarsdale Premier Insurance Agency | Advocate Brokerage Corp.
SCARSDALE, NY – Penny Smith joins Advocate Brokerage in the new role of Client Service Specialist. Mrs. Smith began her work with Advocate in September and will be focusing on providing concierge services that ensure clients are aware and satisfied with the services that Advocate Brokerage provides. Advocate has always been set apart in the insurance industry by their dedication to providing superior customer service and customer satisfaction. They believe in investing time and personalized attention to each client they serve. In an effort to continue to exceed their own high standards of service, they have recently announced the addition of a newly created position – Client Services Specialist. After a career in the garment district, Penny took some time away from the work force to raise her family. During her hiatus, she remained very active in the Scarsdale community. 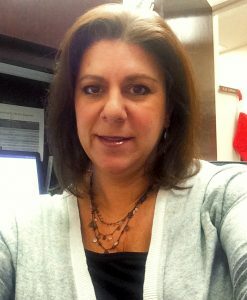 Both in her work as a registrar for the Scarsdale Adult School and her dedication to the PTA and Greenacres program, Penny has focused on enriching the lives of those in her community. Penny is excited to take her prior work experience and bring it to Advocate Brokerage. Initially, her role as Client Services Specialist will have her focusing on protecting homes by creating awareness to families and educating them on benefits they may not be aware they are entitled to. Penny shared “After seeing first-hand what friends have suffered when a water-leak destroyed their home, I want to prevent such disasters from happening to anyone else”.